About 800km from Kunming (kūn míng 昆明), Meili Snow Mountain (méi lǐ xuě shān 梅里雪山)towers over the landscape in the west of Deqin (dé qīn 德钦) County in the Tibetan Autonomous Prefecture. Also known as 'Prince Snow Mountain', it is the most sacred mountainthe in the world. 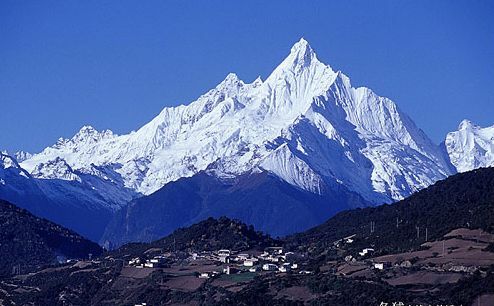 Meili Mountain has long been famous for Kang Karpo Peak (kǎ wǎ gé bó fēng 卡瓦格博峰), Yunnan's tallest mountain - 6,740m above sea level. Among one of the eight sacred mountains the Tibetans worship, it looks like gilded when the sun rises. There are 13 lesser peaks around it, each more than 6,000m above sea level. 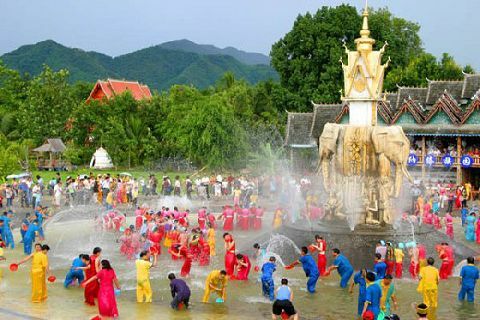 Xishuangbanna (xī shuāng bǎn nà 西双版纳), as a National Scenic Resort, is rich in nature, historical and cultural resources, noted for the multifarious folklore, rain forests, rare plants and wildlife, etc. Its major tourist attractions include Menglun Tropical Botanical Garden, Manfeilong Pagodas (Tanuozhuanglong), Jingzhen Pavilion, Wild Elephant Gully, Dai people's village at Ganlanba, etc. Ruili City (ruì lì shì 瑞丽市) is a county-level city in Dehong Prefecture, Yunnan province, southwest China. 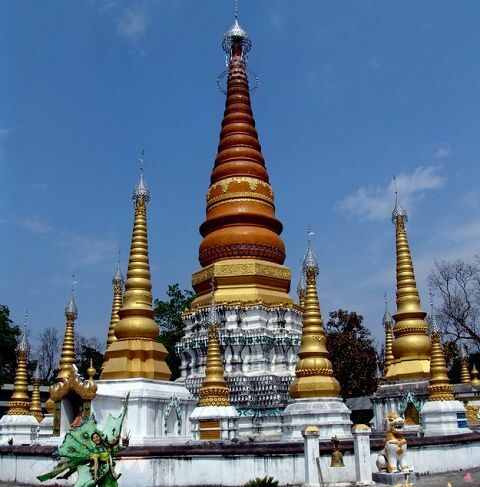 It is a major border crossing between China and Myanmar, with Muse town located across the border. Dianchi Lake (diān chí 滇池) or Kunming Lake (kūn míng hú 昆明湖) is a large inter-land lake located on the Yunnan-Guizhou Plateau close to Kunming (kūn míng 昆明), Yunnan (yún nán 云南), China. As its name suggests, the Chamagudao (chá mǎ gǔ dào 茶马古道), literally translated as 'Tea-Horse Road' or 'Tea-Horse Path', was a central trade route for exchanging Tibetan horses and the tea from the interior. The corridor came to play a crucial role in the communication and exchange between the cultures of present-day Yunnan (yún nán 云南), Sichuan (sì chuān 四川) and Tibet (xī zàng 西藏), with the route passing through, among a number of important posts, the volcanic ranges of Tengchong (téng chōng 腾冲), the colourful culture and dwellings of the Khamba (kāng bā 康巴) people in Changdu (chāng dū 昌都), the breathtaking gorges of Lijiang (lì jiāng 丽江), through Tibet as far as Burma and India.